An awkward 12-year-old boy faces unexpected challenges during his school’s annual summer camp in this Canadian import. 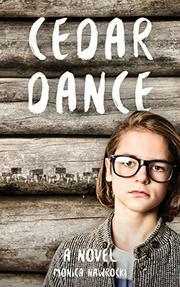 Raised by his single-parent, hippie mother, Charles Cedar Dance, a scrawny, white sixth-grader, knows little about his father except that his mother met him at an anti-logging protest in 2005 and never heard from him again. Charles attends a private, alternative school for the “granola crowd,” where he’s “not a total outcast” but tends “to live at the edges of the action,” relying on his best friend, Jessica. Arriving at the camp, Charles encounters an anti-logging protest group, and Jessica points out that one of the protesters looks just like Charles. With mixed feelings, Charles surreptitiously spies on the neighboring protestors’ camp, hoping to find out more about his look-alike. During the process, he discovers a man in a black hoodie who’s also spying on the protestors. Gradually, Charles becomes convinced the look-alike is indeed his father. Conflicted about confronting his father and worried the stranger in the hoodie intends to harm the protestors, Charles finds himself in trouble as he grapples with everything. With honesty, humor, and self-awareness, Charles tells his story, emerging as an intelligent, sensitive kid who eventually makes the right choices. The environmental-awareness subtext fits in. The book adheres to a white default.